With mushrooms and onions in a sour cream gravy. 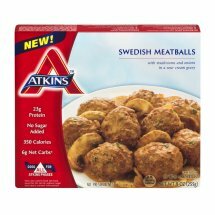 Good for all Atkins Phases. See back panel for fat, sat fat, sodium, sugar and calorie content information.